Automotive Design Engineering is pleased to announce the coil pack relocation kit. 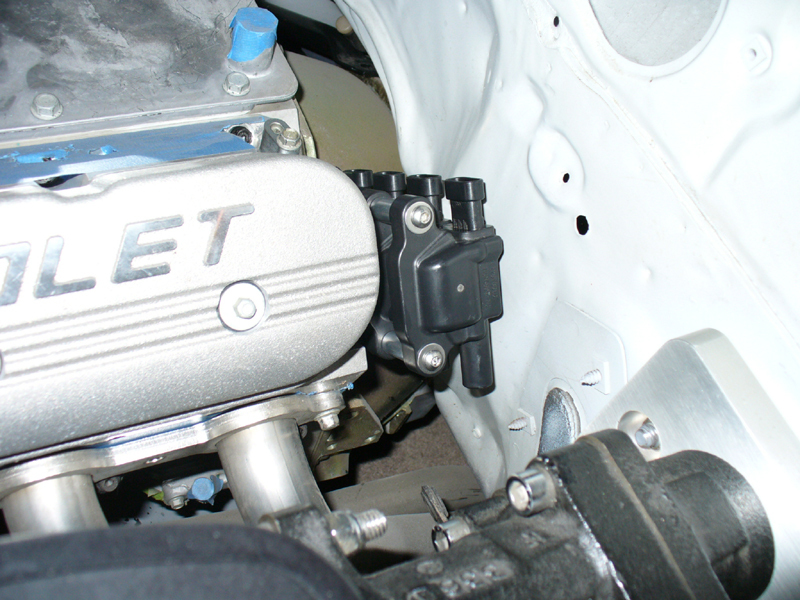 Moving the coils away from the valve cover, to clean up the appearance of your engine. Great for older musclecars, hot rodders, or customs that have transplanted a late model LS series engine but want the more traditional look of the exposed valve cover. Kit works with LS2 LS3 LS7 LS9 coils. Just please specify what coil you have. This kit is far superior to the kits currently available no cheap threaded rod and nuts, with a couple of pieces of bent sheet metal. Constructed of .090 thick Steel welded together coated in a satin black finish. 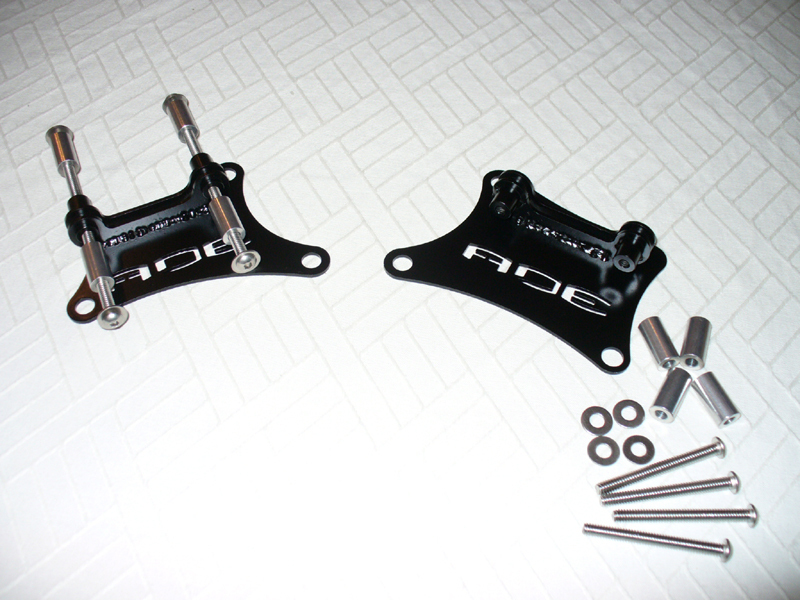 The hardware needed to mount the coils to the bracket is included. I would also recommend buying MSD part number 32079 to make your own custom length plug wires. As with all our Products they are MADE IN THE USA. For LS2, LS3, and LS9 Coils GM Part # 12611424, AC Delco D510C Relocation Kits, click the "Buy It Now" button below. For LS7 Coil Pack GM part # 12573190, AC Delco D514A Relocation Kits, click the "Buy It Now" button below.